Think your Instagram travel photos are as unique as your quirky sense of humor? Think again. It’s an interesting crowdsourcing exercise for sure. It goes to show that we can find macro trends anywhere if we try hard enough. Since the election, newly minted activists and community groups across the country have been looking for ways to quickly and effectively rally mass as well as local groups of citizens. Enter new platforms – such as Hustle – which are taking advantage of peer-to-peer texting using volunteer texters to reach the largest possible group of people directly, without messages getting lost on myriad social media feeds. Plus, it’s fast and highly localized, creating an immune system of local movements. These peer-to-peer text platforms prove that solutions do not necessarily have to be highly technical to be effective, and sometimes the simplest solutions are the most successful. *Correction 8/16/17: Rapid Resist and Indivisible are organizations that use the Hustle platform. 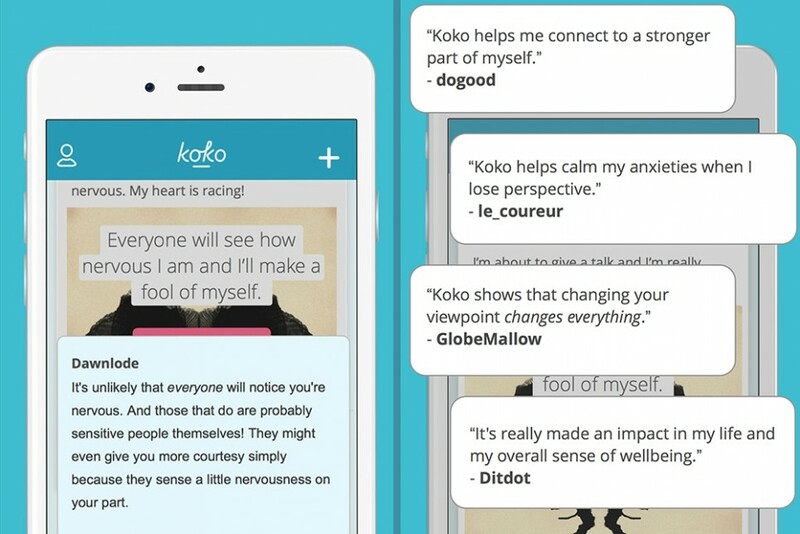 Koko is a social network that attempts to calm users’ minds using a source of crowdsourced cognitive therapy. The network was founded on the idea that when people are stressed out they tend to become isolated and can often be too embarrassed to talk about their problems, however we are really stronger together. So, Koko gives users an outlet to anonymously post about their problem and receive advice and ideas for ways of coping. More specifically, users can write about their topic of concern and other users can browse what has been written and help them through feedback. These can then be upvoted by the community to increase visibility, with all posts also moderated in real-time. In a randomized controlled trial, a web-based version of Koko outperformed an existing intervention method on a host of psychological outcome measures. The results were analyzed by researchers at MIT, Northwestern and Columbia, with the findings being published in a leading medical journal. Koko is currently available as a free app on iTunes. Koko is certaintly not the first company that is powered by collective intelligence, Wikipedia just to name one, but it interesting how they are using it to help promote well-being. And the idea of posting about your feelings on social is certainly not new but perhaps with the focus on anonymity and a community that wants to help one and other could differentiate itself. I do however still have several questions that may affect the effectiveness of the app – like is platform monitored? Would negative or insensitive feedback be deleted? Is there a risk management plan in place for severely depressed users that are contemplating suicide, are they promoting outside sources for users to seek help? etc. etc. With so many options between the hoppy, the fruity, the wheats, the stouts, the ales, the seasonal pumpkin brews and splices you’ve never dreamed of, your next mystery bottle could either be sinfully good or horribly awry. Don’t you wish someone had told you before you opened it? It’s about time there’s an app for that. Letsee Beer, created by Korean startup Letsee for iOS and Android, uses your smartphone camera to scan the labels and shapes of beer bottles and cans (no draught, though). It brings up the beer’s basic info, plus hashtagged descriptions ranging from #fruity to #damntasty and reviews that other users have left to help you determine whether the brew is worth a try. 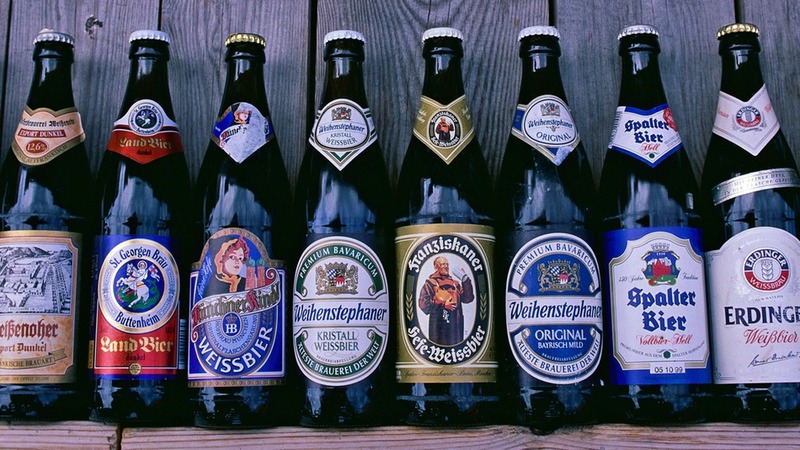 The creators hope to do more than build a user-generated database to help beer fans know what they’re drinking before they open the bottle. They’re also utilizing augmented reality technology to bridge the virtual and physical worlds and to nurture a social media network that shows the app’s impact with real users. There are many apps for many things, but the incoming element of VR is appealing. It can be used to help connect the physical to the online world — and there are definitely implications that go way beyond beer. 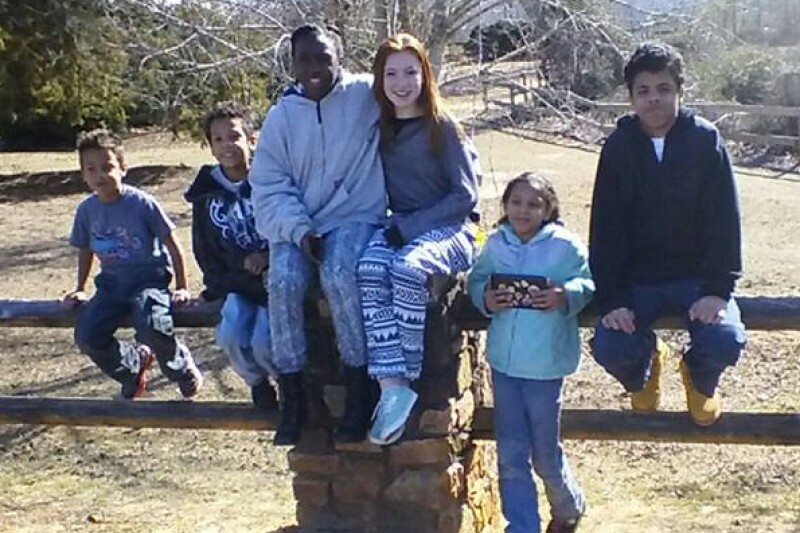 In a heart-wrenching story over this past Halloween, 4 children lost both their mother and father in a fatal car accident after the 2 left the house briefly to shop for more Halloween face paint. The children will now live with their grandmother in Florida. The Georgia State Trooper, Nathan Bradley, went to the house of the 2 deceased adults, and when the door was opened, he found 4 kids, none older than 13. He decided not to tell them the awful news until after at least their grandmother arrived from Florida, and instead he spent the night with the kids, taking them out to eat and trying to have some Halloween fun with them. Trooper Bradley also set up a Crowdfund on GoFundMe with a goal of $7,000 to help the family handle funeral expenses. 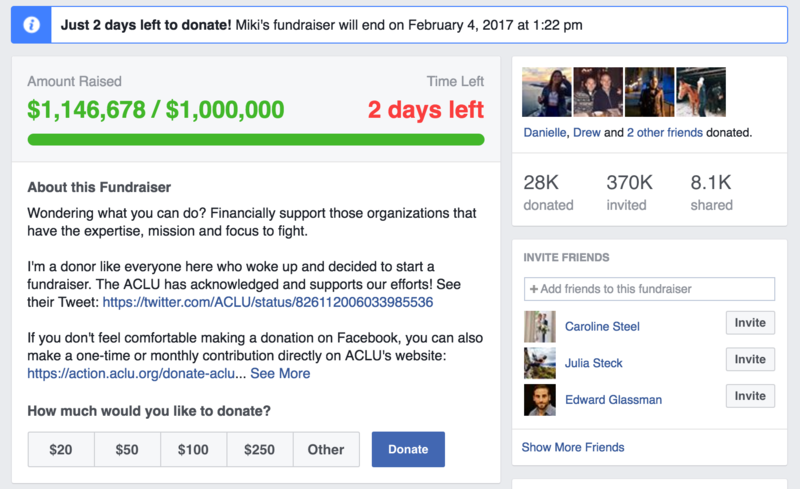 In just 2 days, more than 8,000 people have contributed more than $300,000 to the fund. All proceeds beyond what is needed for funeral expenses and the like will go into a trust for the children. UPDATE: Has now raised nearly $400K in 3 days from nearly 10K people. This story speaks to the compassion of others and the power that technology and social media can have in bringing together the efforts of disparate people around a common cause. The story is tragic. However, the outpouring of support both in words and in monies is uplifting. It would not have been possible to this extent without social and crowdsourcing/funding platforms. It makes you think about what is possible if we use technology to fund and focus resources from around the World around all sorts of problems and challenges facing the planet and mankind. Many drivers, including yours truly, depend on Waze to get to where they are going without unexpected delays. The Israeli company uses crowdsourced information from drivers to steer other drivers away from traffic, accidents, etc. Waze was purchased by Google in 2013 to help beef up the capabilities of the Google Maps platform that include turn-by-turn directions. 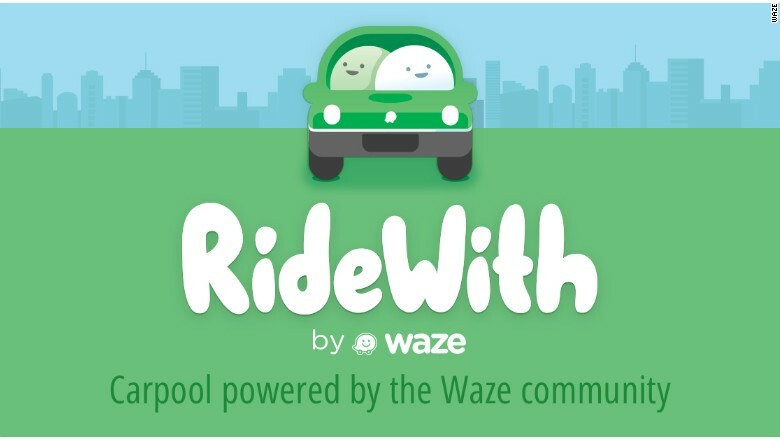 This week, Waze began testing its new RideWith ride-sharing app and service in Tel Aviv. The pilot program matches commuters who have similar rush-hour commutes so they can share rides and split the financial burden of traveling to and from work. If the pilot is successful, the service may launch in cities with a heavy suburban commuter population. These suburban commuters, who need a more regular car-sharing schedule, may find RideWith to be a useful alternative to Uber or Lyft that cater more to city residents that need a quick ride somewhere. The app also calculates how much passengers should pay — a “pitch-in” cost based on gas and mileage and a “nominal” fee for using the app. Drivers are not paid for their services, per se. Waze has been hot for a while. So are Google Maps. For anyone who has used either of these apps (and they are integrated), they recognize how amazingly accurate they are. The Waze platform is inherently based on crowdsourcing, so it is a logical extension to include crowdsourcing to share available ride sharing to/from work. If the service does succeed and move out of pilot phase to a larger endeavor, it will provide provide another alternative to users who may be using Lyft or Uber. Writing isn’t very difficult, regardless of who you are. Writing something that people actually want to read, however, is extremely hard — especially if it’s a book. This is why we have editors to polish incoherent paragraphs, designers to develop gorgeous book covers, and illustrators to create artwork that compliments written pages. But according to self-publishing startup Blurb, there’s actually another very crucial reason aspiring authors need these kinds of collaborators: it greatly improves the odds of actually finishing a book. Blurb simplifies the process of publishing both print and digital books and magazines for writers without publishing experience. It also acts as a distribution service, making ebooks available on Amazon’s Kindle store and print books available for order by bookstores. 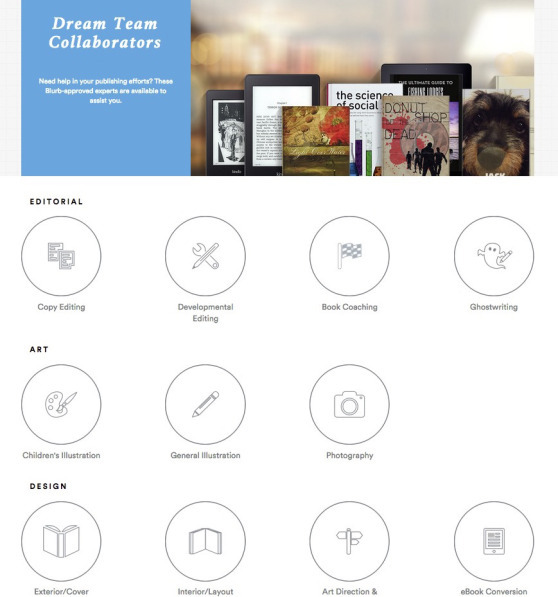 And today, the startup is rolling out a new “Dream Team” marketplace for authors to find and hire professional collaborators like editors, cover artists, illustrators, designers, and photographers, and more. Publishing could be getting a facelft with this new idea. Creating a marketplace of skill sets to better produce a book of any publication could change the industry itself. Collaboration is the way of accomplishing goals for the future and here is just another example. Is there something we can learn for the way we approach marketing? The alignment or versatility of having a “Dream Team” of skill sets that are not always tied to the same work. What we used to know as Value Click, has now merged with Conversant, encompassing Grey Stripe, Dotomi, Mediaplex and Comission Junction . 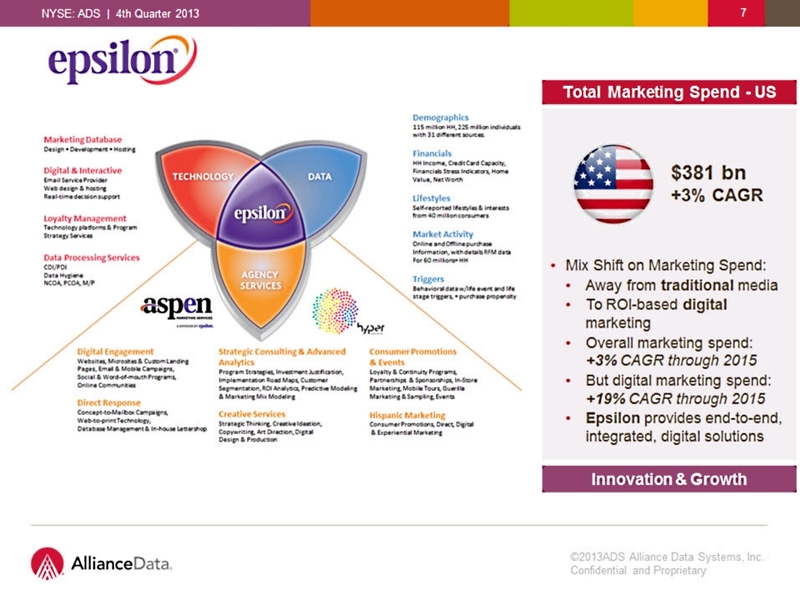 This monster of a data partner and ad network, now covers affiliate marketing (Comission Junction), Mobile (Grey Stripe), SET (Video facial recognition targeting), Personalized Data Behavior (Dotomi), ad serving back end/reporting (Media Plex), and the pixel that has well over 80%+ of the internet tracked with geo, BT, RT and CT (Valueclick +Conversant). 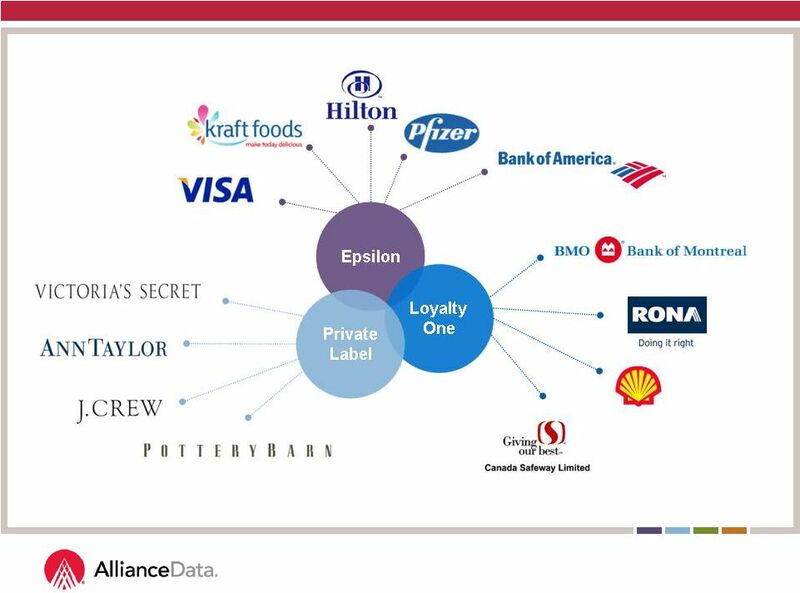 The important part to note is the trend of acquisitions, as seen in Google, Yahoo and the other big digital partners, but also how ad networks are servicing agencies and brands as a one stop shop with data and all types of channel variation buying opportunities. This can simplify buys, provide better targeting by having fewer partners learn our audience better and therefore drive a higher ROI, and stretch our media dollars even further. In a day and age in the digital world where some brands are throwing ad dollars at the wall and hoping for something to stick, Nissan is being discerning. They are actually engaging strategy in their social and digital media capabilities, a practice many agencies leave out of their scope of work and leave in the hands of digital teams, which leave social to only be the executor’s, and not strategists. Nicola Kemp of Media Week UK comments that “sport and social media are such obvious partners that it is all too easy to declare the future of sports sponsorship will be played out primarily within the realms of 140 characters.” This is the type of social and digital strategy that is built in a planning period and not when only executing. 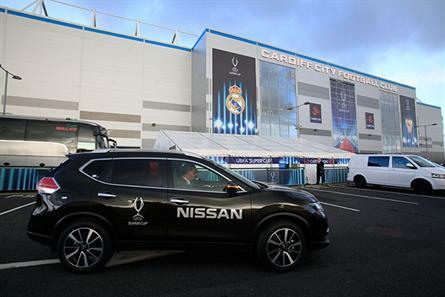 In regards to Nissan, they are focusing their digital media efforts on large sponsorship’s (similar to an old OOH campaign from the 90’s, but layered with deeper analysis and data from today’s digital transparency. ), less venues, larger audiences with targeting and live touch points with memorable experiences for consumers OOH & digitally. Large auto clients, as well as many other publicly traded companies (such as our clients) are shifting their trend of spending media budgets within agencies towards live events with highly targeted audiences. Years ago this was the same spend that was utilized at large scale and investment with substantial OOH sponsorship’s, however it lacked the targeting. In the end, you only buy a car every 5-6 years (1-3 years for most single males 25-34 and 3-6 years for single females 25-34- Comscore March 2014*), so by the time you have reached the consumer they have already had ample time to make up their mind and cemented their own opinion. To prevent being left out Nissan hopes to be part of the long term conversation and have meaningful social and digital campaigns with targeted live events. “You need to be part of what people enjoy and you have to be meaningful.” Nissan will attempt this with live events surrounding sports such as their World Cup campaign’s this past year that focused on their Hispanic audience (hyper targeted demo and geo and behavioral). 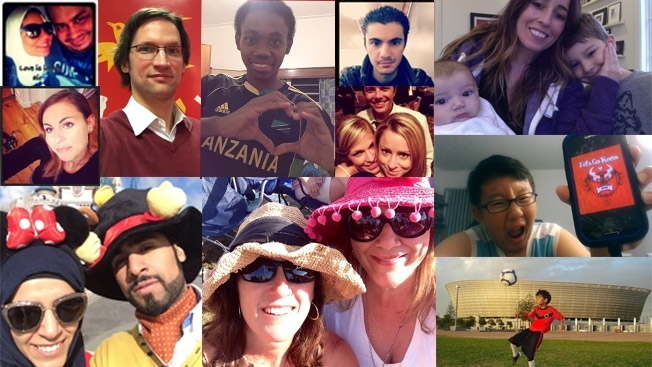 Ever try to plan a family vacation with distant relatives or friends? The logistics, with URLs hurtling through time zones and misunderstood hotel signoffs becoming fodder for Thanksgiving arguments, often rival D-Day’s. 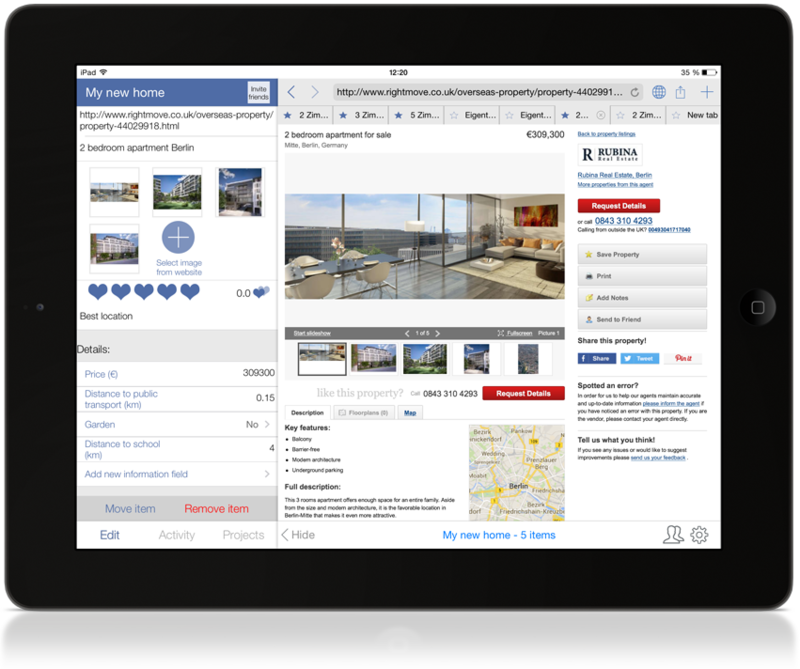 Such use cases propelled two former Nokia Siemens consultants in Europe to develop TheResearchBrowser, made available this week in an iPad version. Windows PC, Mac, and other versions are in development. 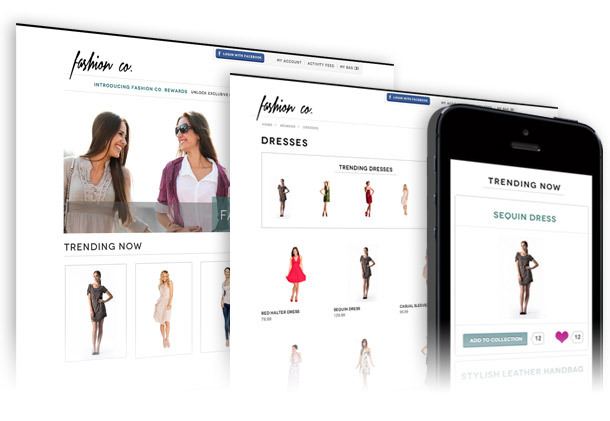 The cloud-based browsing application is designed for multiple projects of organizing, sharing, and assessing Web-based research. They never actually took that project, but the prospect of conducting that research led them to develop this self-funded effort. Sitterman is a self-described “Brit who lives in Berlin since the wall came down,” De Ruysser is based in Berlin and Rotterdam, and their ten developers are — literally — in Siberia. The pair aren’t the only ones who have seen the need for browser-like joint efforts. Samepage, for instance, is oriented toward team collaboration. Diigo, a “personal knowledge management” multitool that includes notetaking and highlighting, is “great if you’re doing academic research,” Sitterman said. Anyone dealing with a software issue and a modern help desk has encountered co-browsing, where an agent can remotely demonstrate or make a fix on your screen. There are even browsers designed for remote surfing parties where participants battle for control. But TheResearchBrowser’s focus, as the name suggests, is on informal collaborative research. Like putting together with someone else a list of “books on Einstein’s works and availability on various second-hand websites,” the science-inclined Sitterman said. Multiple projects can be maintained, pictures can be added, pages rated, comments written, collected items compared, and colleagues can be invited to join in. When one of the participants is looking at a webpage, there’s a link to that page in the browser’s chat. Sitterman pointed out that TheResearchBrowser is not a full screen share; you only see content that other people are actively engaged with. You can share with the group, or just with individuals via chat. Private projects can stay private. Users can check in on recent activity while they’ve been away, and for backup, projects are stored in TheResearchBrowser’s cloud. The startup intends to make money from relevant ads that are based on the last search and expects to offer a premium version sans ads. This is a great example of a simple problem with a simple solution of repurposed ideas. There is something interesting here that applies to the digital marketing world, and that is how innovations like this are not out of reach for the industry. This gives a great example of the type of work that can be considered for the future, but not a real challenge to the minds of the CEA world. You may have a crack research-and-development team, but that doesn’t mean it should be the company’s only source of innovation. Indeed, the pipeline of ideas likely will gush more bountifully if you find ways to stimulate everyone’s creativity.One business taking that notion to heart, and then some, is SkyTouch Technology, presently a wholly owned division of Choice Hotels and a candidate for a spin-off and an initial public offering at some later time. The organization conducts a twice-yearly, hoopla-filled competition for new ideas that it calls The Alpha Games, a moniker that blends the high-energy, popular multimedia franchise “The Hunger Games” with the notion of alpha testing. The Alpha Games is a one-day event, always on a Friday. For several weeks in advance, the walls at SkyTouch’s Phoenix headquarters are filled with Hunger Games-like movie posters encouraging employees to brainstorm ideas and form teams that will come together on that day to bring the ideas to life. The teams then make presentations showing what they accomplished the following Monday, giving them the weekend to hone their efforts. It is entirely possible for, say, a five-person, very focused team to flesh out an idea, even one that envisions a new use of complex technology, into a working model during thatshort time span, says SkyTouch president Ric Leutwyler. Innovation is a unique and thought-provoking way to solve problems. Every leading company should have it embedded into the formula that creates it. This initiative shows a great way to embrace these problem solvers, and to find new ones. Also, it shows how even traditional companies in industries like hospitality and travel can be on the cutting edge of technology and innovation. You know you’ve seen it. This is an example of “viral done right,” and likely unexpectedly. As I’ve watched Facebook friend after Facebook friend post videos of themselves dumping ice over their heads, I finally had to say “what on earth is going on and who is behind it?” I’ve also wondered if it was actually raising money or whether it was just social video fluff. It’s interesting to see how social media can be use to get people to rally around a cause — but it’s also interesting to see what works to get them to do it. 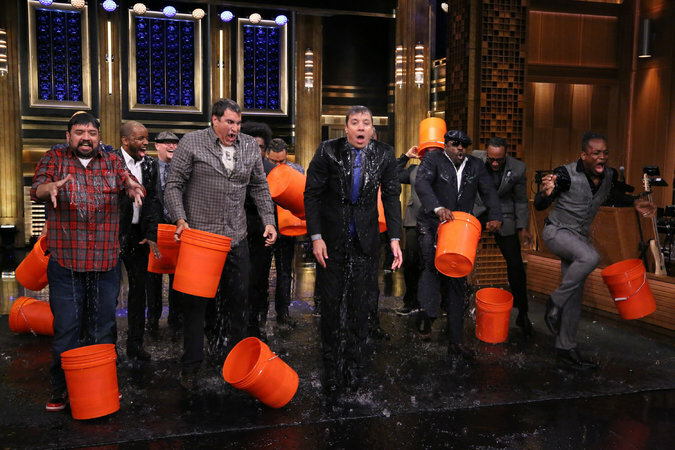 Why does the ice bucket challenge work? Is it a little bit narcissistic? HP recently released a new 30-second commercial spot for their Pavilion x360 – a notebook that turns into a tablet – that was made completely from Vines. The ad is a strung-together montage of short videos made by high-profile Viners such as Robby Ayala, who has 2.8 million followers on the platform. Several other brands have already embraced using Vine content for their ads, keeping in-line with the trend to connect TV and digital audiences. The effect that HP’s new ad will have on interest and sales remains to be seen. Read the full story on the Wall Street Journal’s blog. Why It’s Hot | Crowdsourced-content-for-advertising that has become so trendy lately, and what’s even more popular is hiring social media superstars to create content. Despite the fact that they’re still hired talent, social media superstars do seem more relatable to many consumers, and more interesting. 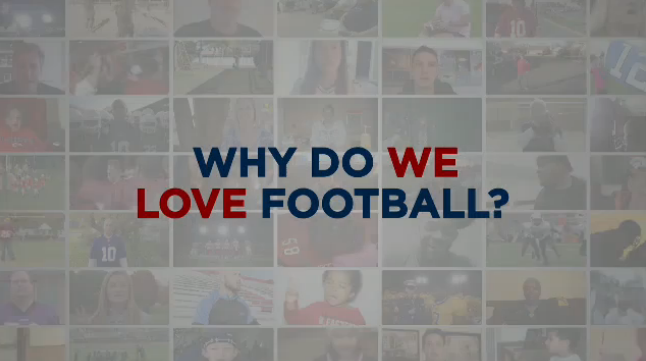 For the second season in a row, the NFL is inviting millions of fans to share their stories explaining why they love the game. Kicking off Sunday night, the “Together We Make Football” campaign highlights fans’ inspirational stories about football, in order to promote the NFL’s huge contest – awarding Super Bowl XLIX tickets to one individual and one group. The goal of “Together We Make Football” is to “create the NFL’s biggest ‘community-generated’ campaign,” where users will contribute their own content, and choose the winning content. 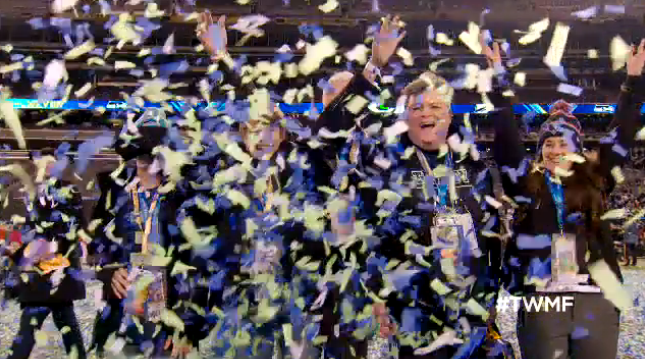 View the NFL’s 2014 “Together We Make Football” video here on Adweek. Why It’s Hot | The NFL’s contest and accompanying campaign will push fans to think about their love for the NFL and then create and share content explaining why they love it. This not only increases engagement of fans contributing content; it expands reach of NFL-related content to fans’ networks. Crowd-sourcing for content isn’t new news: Coke used user-generated content at the World Cup and Mercedes Benz created a community by using user-generated content. As we’ve previously discussed, crowd-sourcing enhances buzz about brands, and also increases engagement with a brand, which can only help with loyalty. Makemove is a creative & digital peoples “dating app” , if you will, where you can find people with ideas or skillsets, near you. Like Tinder meets Linkedin. Like 4square meets portfolio sites! Like Grindr and … Oh no it’s not like Grindr at all. It’s on iPhone only right now. The founders are childhood friends from the land of the midnight fun, Sweden, and they set out to make this app after discovering there was a need for matchmaking in the creatives businesses. Since ad, digital and creative students tend to wander around the world, this is ideal for making new creative friends in far off lands too. Just install the app, sign up, and seek new connections out wherever you are. 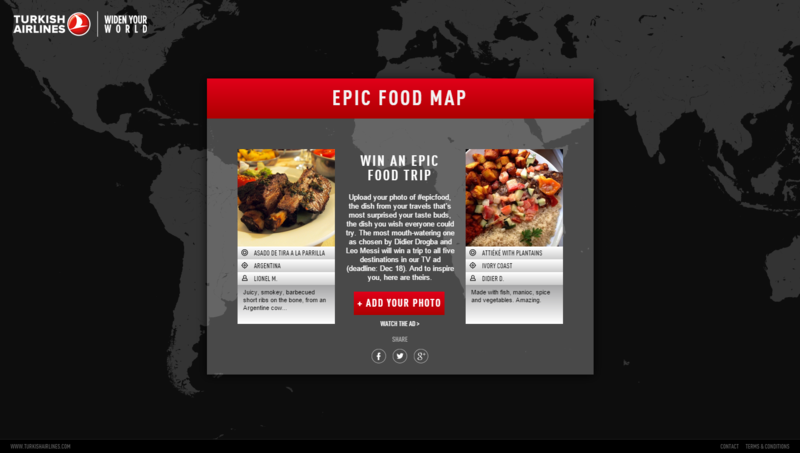 It’s an interesting next step for social communities around the world by leveraging geolocation. While this could be a niche app (focused exclusively on creative folks), this could be the next evolution of social communities – going hyperlocal and speaking to individual passion/love. The Promise Tracker website and app are intended to allow everyday citizens to document examples of politicians either delivering or not delivering on campaign pledges. Ethan Zuckerman, director of MIT’s Civic Media Center, and brainchild behind the project, has been carrying out experiments using mobile phones to enable citizens to become more active monitors of public servants. “Our goal is not to criticize the government, but rather provide residents and politicians with the proper tools to understand the local context, make informed decisions, and transform their cities into better spaces for all,” said Leo Burd, a consultant for MIT on the Promise Tracker project. Promise Tracker is being piloted this fall in Brazil. Brazil was a logical choice given several cities in the country have recently passed laws mandating that its mayors list and publish campaign promises and term objectives within 90 days of taking office. Over 1,100 “counselors” will be using the Promise Tracker in Brazilian cities to monitor the progress of each pledge of various politicians. Promise Tracker has already generated interest from other countries and the MIT team plans to create a web and mobile app system that cities around the world can customize according to their needs. Unfortunately, politicians are often in the service of those who fund their campaigns versus the citizens who voted them in. 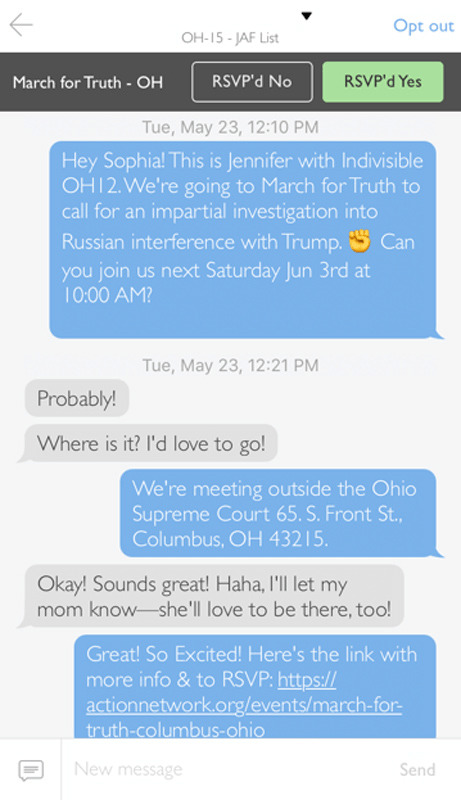 The concept behind Promise Tracker brings crowdsourcing, data, social media, GPS, multimedia all together to give everyday people greater power to lobby for change and hold politicians accountable. This can help address infrastructure investments, fix inequalities, and improve public services. No stranger to big statements, Coke has come up with a way to use user-generated content to advertise on one of the world’s largest stages. As Adweek explains, “Coke will unveil its largest World Cup digital activation with a 3,015-square-meter nylon flag comprised of 219,000 photos collected via Facebook, Twitter and Instagram from 207 countries.” The design of the flag itself is also user-generated – a recreation from Brazilian street artist Speto’s painting. Though the selfies are driving the buzz around the flag, Coke says the flag itself is the center of it all. “The physical flag represents a moment in history that would be very hard to capture digitally,” explained Neil Bedwell, global digital director, Coca-Cola. Post World Cup, the flag will be on display at the soda giant’s hospitality venues, and a link to a microsite showcasing the “Happiness Flag,” as it’s known, will be emailed to each participant as a digital memento. Why It’s Hot | Expensive creative for advertising is increasingly being replaced with free (or super cheap) user-generated content. And it’s not hard to figure out why. Crowd-sourcing for user-generated content not only helps brands’ budgets – it enhances buzz about the brand, and extends reach beyond the typical advertising campaign. In addition, it helps to build brand trust. Users feel special being featured by a brand, and empowered as a part of something bigger than themselves, knowing their contribution will be viewed by millions of people. The benefits of brands using user-generated content impact the brand and the users, driving a winning strategy (most of the time). Mercedes-Benz UK is allowing consumers to direct and create a scene for a short film featuring the CLA-class. Using the hashtag #CLAStory, Instagram followers can upload scenes that correspond with three previously recorded clips found on Mercedes-Benz UK’s Instagram, Facebook and Web site. 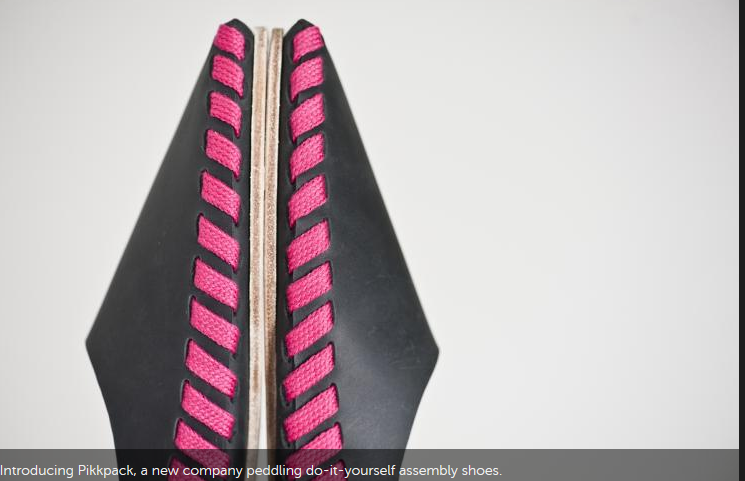 It’s interesting to see how luxury brands are increasingly testing new waters. Moving from the days of perfection to the approachable, user-led world of platforms such as Instagram. Instagram campaigns are not new to luxury car brands. For example, BMW of North America allowed fans to reserve one of 29 thirtieth anniversary BMW M5s to be sold in the United States exclusively through information revealed on Instagram (se story here). Early this year, the usually quiet residential neighborhood of Grandview, near Phoenix, Arizona, was hit by 25 home burglaries over a 3-month period. They were often carried out while residents were out for just a few hours. The police failed to make any arrests, so the neighborhood residents used the Internet to do some investigating of their own. Using the Web, they crowdsourced details of the crimes on Nextdoor.com, a private social network for urban neighborhoods, and began noticing patterns such as when they would enter the house and how they would pilfer items, for example, by stuffing a pillowcase with high-value items. The community also used Nextdoor.com to start a virtual neighborhood watch, sending out detailed alerts about suspicious cars or people and live-blogging about strangers’ movements throughout the 1-square-mile area. Enough info was eventually gathered to get the police to do undercover sweeps of the area–resulting in multiple drug busts and a plummeting burglary rate. Mobile devices and social media enables today’s homeowners to fight crime, coordinate in an emergency and revitalize the neighborhood watch. The Trayvon Martin case in Florida spurred the National Sheriff’s Association to develop an app called Neighborhood Watch NOW that allows neighborhood watch members to share real-time video surveillance footage from a smartphone with local law enforcement and with each other in the watch. A member can take out their phone, open the free app, hit emergency button to record, and append precise GPS location. This info is automatically uploaded to cloud server. The app, made with ICE Blackbox, will be rolling on this summer. A 19 year-old diagnosed with Cancer and given a 2% chance of living founds “Survivor Games”, a non-profit, purpose-based gaming firm that unites those with Cancer around a common community. The games open an enormous door that not only unites those who share an interest, but provides an outlet for them to a) spend a lot of time online in one content-area, b) lets them communicate with each other, and c) lets them build toward a common goal (success) together. The idea of linking like-minded individuals around cause- or purpose-based gaming–with the net outcome that they help the cause–and help themselves feel good in the process–is huge. People who feel passionately around causes have two current outlets: they can volunteer to help (time-consuming, and not fun) or they can donate (a once and done relationship, or painful over time). Purpose-based gaming–especially if the more you play the more you help the cause–is a powerful way to unite individuals who share collective passion around a brand’s larger mission–or one they sponsor (“brought to you by”). 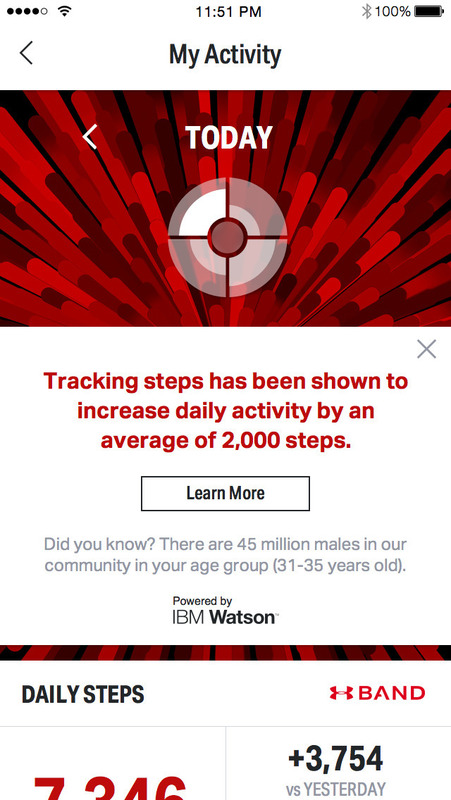 The quantified-self movement, also known as “body hacking,” describes the growing community of individuals who deploy mobile health apps, trackers, and social media platforms to share their health behaviors with others. A top objective is to live better lives through crowdsourcing behaviors linked to outcomes. According to GigaOM, the movement’s growth is linked to trends such as lifestreaming, crowdsourcing, gaming, mobile health and the DIY ethos that has emerged. CureTogether.com is website that requests users to take comprehensive surveys around their conditions and what treatments they might be taking, including how effective the treatments appear to be and any side effects associated with them. All of this data is them aggregated for others in the community to review through data visualization. Individuals in the community may begin to see trends in how particular diets, exercise or medications are having a particular impact on outcomes. CureTogether.com has a fairly poor user experience. It also isn’t a new site. But the concept behind it is hotter now than ever as wearables gain traction and the amount of crowdsourced data contributed increases. Similar to how EMRs are eventually expected to help inform physicians on treatment decisions based on large amounts of historical data and trends, the use of crowdsourcing sites such as CureTogether.com can empower patients with statistically significant data to have compelling conversations with their doctors about their health behaviors and the medications they are on or are interested in taking. 8thBridge provides a Social Discovery platform to brands that want to empower people to discover new product ideas from each other, inspire the creation of crowd-sourced content, and gain a far deeper understanding of their customers.This tool is called Graphite and creates a brand-appropriate, visually inspiring, customer experience that encourages people to engage with each other and discover new ideas and products to buy. Large brands such as Toys-R-Us, GNC, Nautica, Juciy Couture, Hallmark, Targer, and many more are utilizing or plan to utilize Graphite. This strategy of creating a new social platform rather than trying to create an experience in current networks is a large risk, but has a lot of potential. ROI from social has always been a challenge, and ideas like this could be the right direction in creating profitable campaigns. Meow Mix is booting up Cat Starter, a new branded contest to see which of three cat-friendly products will be brought into reality, to the delight of felines everywhere. The site is set up like the well-known crowdfunding platform Kickstarter, but is geared specifically toward “things cats love, made by people who love cats.” Launched last week, the site currently has three product ideas that cat owners can back: a fake keyboard and warming pad to trick your cat into thinking its your keyboard; a Twitter-powered cat feeder where owners can tweet to feed their cats; and a dish that funnels food to the center of the bowl to make it easier for your cat to eat. Visitors to the site will get to pick their favorite projects and then get their friends to back them too. If they have an idea for another Castarter project, they can submit it to the site for the next wave of projects. Visitors to the site also can enter for a chance to win a limited edition winning product for their cats at home. The best part is that you don’t even need to donate your own money to help your favorite idea become a reality — you can just vote for the products you support, and later this spring Meow Mix will fund production to bring the most popular inventions to fully-functioning life. Check it out and vote here.